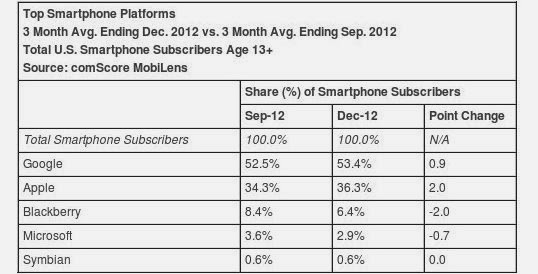 Lately most popular Android-based smartphones were syndrome. Andriod Operating system is released by leading search engine giant Google, others smart phone OS available in the market are Apple iOS, Black Berry OS and Windows OS. According to recent research from comScore, Google Android is ranked as the top smartphone platform with 53.4 percent share of the market (up 0.9 percentage points), while the price Apple shares rose to 2 percentage points to 36.3 percent. Blackberry ranked third with a market share of 6.4 per cent market share, followed by Microsoft (2.9 percent) and Symbian (0.6 percent). Android has unique features and the best technology, which its biggest rival Apple does not possess. Most of Andriod OS resembles with name of the food (Jelly bean, and now KitKat), is able to attract the attention of customers. Sometimes it sounds funny when Ice Cream Sandwich, Gingerbread mentioned or Jelly Bean, as being the name of the technology that is usually names of the eating stuff. This is precisely the uniqueness of android which offers a unique impression to its customers. The appeal of the next Android version is the ultimate secret belongs to Android which always keep its customers interested like what will android bring in next OS. If you take a look on Google play Store, Android offers a wide range of applications and games that are paid are free. Everything can be easily found on Google Play. Of course, as a customer would prefer a free right. Apple launched its iPad with a variety of facilities and quality services, but Apple products are known for being expensive products. What about customers who crave for smartphones with low price. Obviously, Android is the answer. Especially now, the Android OS is running in major smartphone brands in the world like LG , Sony Erickson and of course ,today's top leader in the market Samsung. Andriod has unique, branding strategy to introduce products which others don’t have, Andriod has biggest advantage of Google, which possess huge of research data and details of what is happening in the market. So, that’s why Andriod always comes with something unique. Google Android game comes with wide variety of facilities. 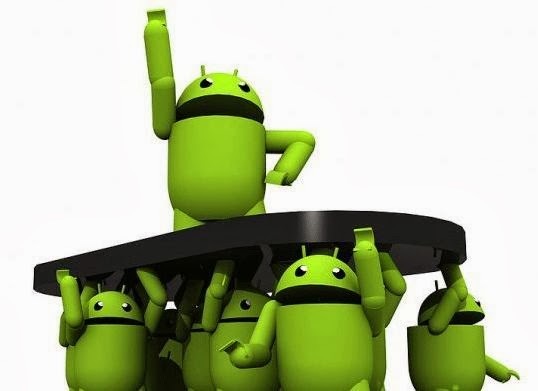 There are over 200,000 apps in the Android Market and over 1.3 billion apps were downloaded last year .Android make right choice to target group of clients , the client who wants to have smartphones, specially Android smartphones , which are able to provide cheap and could be reached by all levels of society. Of course, the desire of each customer varies, every customers wants different features, that why some people like Andriod, and some like Apple. Smart phone users, who are using android, always find exceptional features on Andriod OS. Andriod unique, menu display allows user to learn quickly can go through different options they can easily adopt different options. Android is now in a position to occupy the first position almost parallel to the apple, and bring the technology to offer similar to Apple . This article is contributed by Khalid Masood Awan. He is professional Andriod App Developer in leading company in California, USA. She is done lot of research on articles related to web designs trends, WP plug-ins and recent advancement in Joomla forum.